As a proud sponsor of Celebrate the Night Sky Week, we are pleased to share some exciting news. The 25–minute documentary “City Lights, Starry Nights” directed by John Orrison is now online and available to everyone! Duluth, Minnesota is working to create a vibrant city nightscape that supports residents, visitors and its incredible environment. In the film, join citizens and national experts Laura Erickson, Paul Bogard and Shadab A. Raman, PhD, MPH as they discuss new lighting technologies, experience pitfalls, and explore possibilities for ending light pollution. What is light pollution? How does it impact human health, our surrounding habitat, and our quality of life? The film explains light pollution, how the human circadian system responds to light, why LEDs are different than older light technologies, how light pollution effects bird populations, and much more! 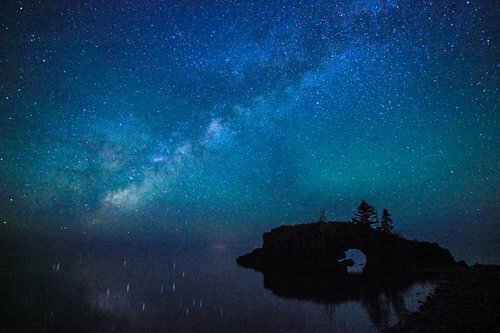 Produced by a group of Duluth citizens, the film interviews national experts at the Night Sky Seminar we hosted in Duluth in 2017, and shows differences in old and new street lighting in and around the Duluth area. Want to see the movie in person? Let us know if your group or classroom would like to screen the film, we are available to facilitate discussion about light pollution and our night skies! Call us at 218.343.7332 to schedule a screening!